Lie on your back. Extend hands straight above towards the ceiling. Bring your knees up to a 90-degree angle. Shins should be parallel to the floor. Exhale and bring hips off the floor. Begin by extending one leg forward. The foot should be hovering just above the ground. Pause then return the leg to it’s starting position while extending the opposing leg. 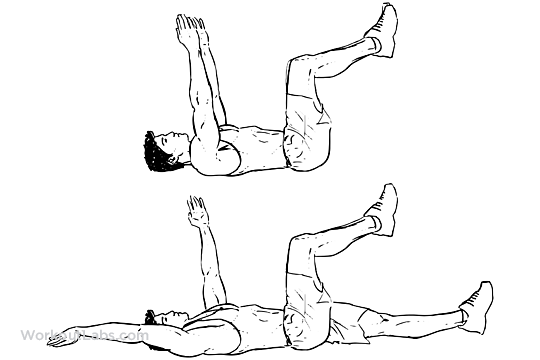 Keep alternating legs while maintaining a tight core.